It seems like only yesterday that Natalie Jacotine found herself working as a receptionist at the Corporate headquarters of an Estate Agency. Little did Natalie realise from her humble beginnings, some 28 years later, she would be the Director of her own agency Jacotine Property Group Pty Ltd. During the years Natalie has managed her own rent roll of some 200 plus properties. She was quickly appointed Office Manager and Senior Property Manager responsible for the supervision of other Staff and a residential rent roll of approximately 700 properties. Natalie has twice been awarded the Property Management Award for the largest number of properties added to her rent roll throughout this time. Her hard work now being evident. Thriving on her success and extra responsibility, Natalie became a fully Licensed Estate Agent in 1999. 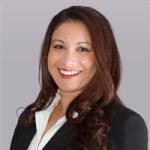 Natalie is regarded as an innovator in the Property Management industry. Throughout the years of her own Partnership and other Business Development positions, she quickly realised that quality customer service was lacking within the industry. In ever-changing times, Natalie is determined to strive for that extra edge in a competitive marketplace and provide her clients with the quality and individualised service that they all deserve. Why don't you give Natalie Jacotine a call on 0411 851 195 and see why her quality service makes her stand out above the rest. Our office provides personalised service. No keys are handed out which allows maximum focus on providing one to one service each time. Inspections are provided twice weekly and private appointments if required. We have weekly contact with Relocation companies which are ideal candidates for any rental property. Natalie was recommended to us through a friend and I cannot thank my friend enough. We had already contacted a couple of agents from big firms and were extremely impressive with the options. I was literally about to press ‘send’ to sign up another agent when Natalie contacted me. I can honestly say thank you serendipity! She has been incredible and I would recommend her to anybody for her knowledge of the market, integrity (yes, really) and ability to be genuinely personable. We were moving overseas and I was eager to get the deal done and as a result I was ready to drop the rental price very (too) quickly. Without her expertise and calmness we would have pushed for a lot less than Natalie negotiated. When my urgency (panic) reared it’s ugly head Natalie’s response was “Wait, I am not going to give your property away”. It rented in 15 days and we are very happy. We leave Australia confident in the knowledge our home will be managed to an extremely high standard, for us and our tenants.